The Arkansas Symphony Orchestra (ASO), Philip Mann, Music Director and Conductor, presents the opening concert of the 2014-2015 Landers FIAT River Rhapsodies Chamber Music Series: Quartet for the End of Time. ASO musicians present the music of Haydn and Messiaen in the beautiful Grand Hall of the Clinton Presidential Center, 1200 President Clinton Ave., Little Rock, AR, on October 21st at 7 PM. A cash bar is open at 6 PM and at intermission, and patrons are invited to carry drinks into the hall. Media sponsor for the Landers FIAT River Rhapsodies Chamber Music Series is KUAR/KLRE. 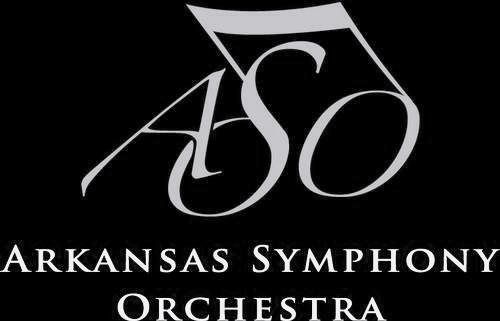 Tickets are $23; active duty military and student tickets are $10 are can be purchased online at http://www.ArkansasSymphony.org; at the Clinton Presidential Center box office beginning 60 minutes prior to a concert; or by phone at 501-666-1761, ext. 100. The Arkansas Symphony Orchestra celebrates its 49th season in 2014-2015, under the leadership of Music Director Philip Mann. ASO is the resident orchestra of Robinson Center Music Hall, and performs more than sixty concerts each year for more than 165,000 people through its Stella Boyle Smith Masterworks Series, ACXIOM Pops LIVE! Series, River Rhapsodies Chamber Music Series, and numerous concerts performed around the state of Arkansas, in addition to serving central Arkansas through numerous community outreach programs and bringing live symphonic music education to over 26,000 school children and over 200 schools. As part of the Arkansas Design Network’s monthly architecture lecture series, tonight Jeff Shannon will discuss “FRANK LLOYD WRIGHT’S ROBIE HOUSE: A New Perspective.“ Shannon is a professor of architecture at the University of Arkansas Fay Jones School of Architecture. The program begins tonight at 6pm in the Arkansas Arts Center lecture hall, with a reception starting at 5:30. 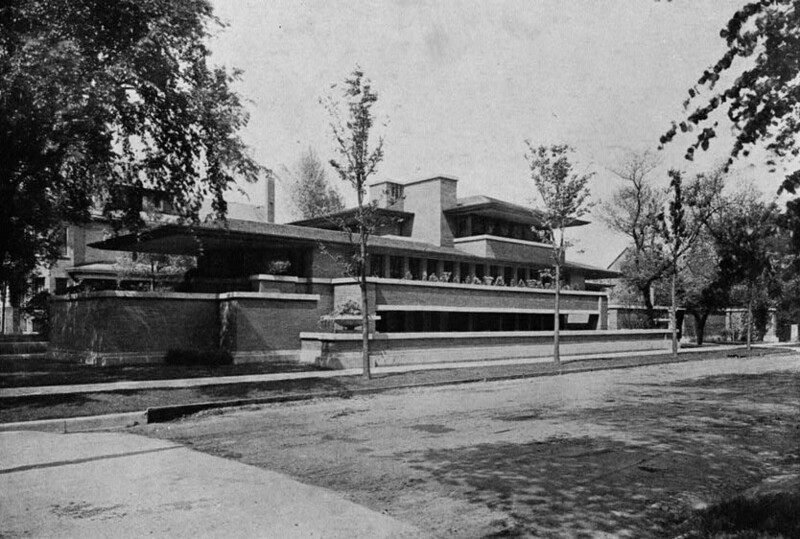 Robie house, situated on the edge of the University of Chicago campus, was designed for 28-year-old Frederick Robie and his young family by Frank Lloyd Wright. Completed in 1910, the house, listed on the National Register of Historic Places, has generally been acknowledged as the “ultimate expression of the Prairie house”, a form pioneered by the Wisconsin-born architect. In addition to designing the structure itself, Wright designed the home’s furnishings and elements of Mrs. Robie’s wardrobe. According to Shannon, most interpretations of the Robie home underestimate the influence of site and context on the design of the house, located on a 60×180 foot lot on the corner of Woodlawn Avenue and South 58th Street, in Chicago’s Hyde Park neighborhood. Wright’s ability to deal with the challenges he faced “elicited one of the most creative and ingenious responses” of his career. As Dean of the Fay Jones School of Architecture (FJSA), from 2000 to 2013, Jeff Shannon, an award-winning alumnus of Arkansas and Rice Universities, developed a variety of new programs, increased the school’s diversity and raised its national profile. Under his aegis, the school was named for Fay Jones, one of its early graduates and an American Institute of Architects (AIA) gold medalist, who, early in his career, studied with Wright at Taliesin. During Shannon’s tenure, funding was raised to renovate Vol Walker Hall, the school’s home, and build the widely acclaimed Steven L. Anderson Design Center. Responsible for developing the collaboration of the Fay Jones School of Architecture and the University of Arkansas Press, Shannon, as executive editor of the publishing venture, is responsible for books dealing with architecture, including Architects of Little Rock, 1833-1950, by Charles Witsell and Gordon Wittenberg. All ADN lectures are free and open to the public. ADN’s supporters include the Arkansas Arts Center, the Central Arkansas Chapter of the AIA, the Fay Jones School of Architecture and friends in the community. A non-profit, ADN is a 501-3 organization. For additional information contact ardenetwork@icloud.com. Tonight, the Oxford American and CALS Ron Robinson Theater are excited to present The 78 Project Movie at the Ron Robinson Theater! Inspired by the field recordings of legendary folklorist Alan Lomax, director Alex Steyermark and recordist Lavinia Jones Wright created The 78 Project, an ongoing documentary journey to record today’s musicians with yesterday’s technology. Doors open at 7:00 P.M. day of show, and the film starts at 7:30 pm. All pre-sale tickets are $10 each and available via www.metrotix.com or by calling (800) 293-5949 until noon on September 30. Tickets will also be available at the venue on September 30 at 7:00 P.M. All seating is general admission and available on a first-come basis. ABOUT THE FILM – This year, Steyermark and Wright have released a feature-length film showcasing their work and the singular performances the on-site 78rpm recording process inspires in the musicians they encounter. The 78 Project Movie includes performances by a variety of musicians and appearances from a kaleidoscopic cast of technologists, historians, and craftsmen from every facet of field recording—Grammy-winning producers, 78 collectors, curators from the Library of Congress and Smithsonian. In Tennessee, Mississippi, California, Louisiana, the folk singers, punk rockers, Gospel and Cajun singers in the film share their lives through intimate performances, and find in that adventure a new connection to our cultural legacy. During the night, a Little Rock musician will play live for the audience and Steyermark and Jones will cut the performance into a 78, so anyone in attendance will be able to become a part of The 78 Project’s ongoing journey! And in addition to the screening, Oxford American Associate Editor, Maxwell George, will introduce the film and moderate a Q&A with the filmmakers after the screening. The National Endowment for the Arts recently featured Little Rock’s plans for the Creative Corridor on its website. 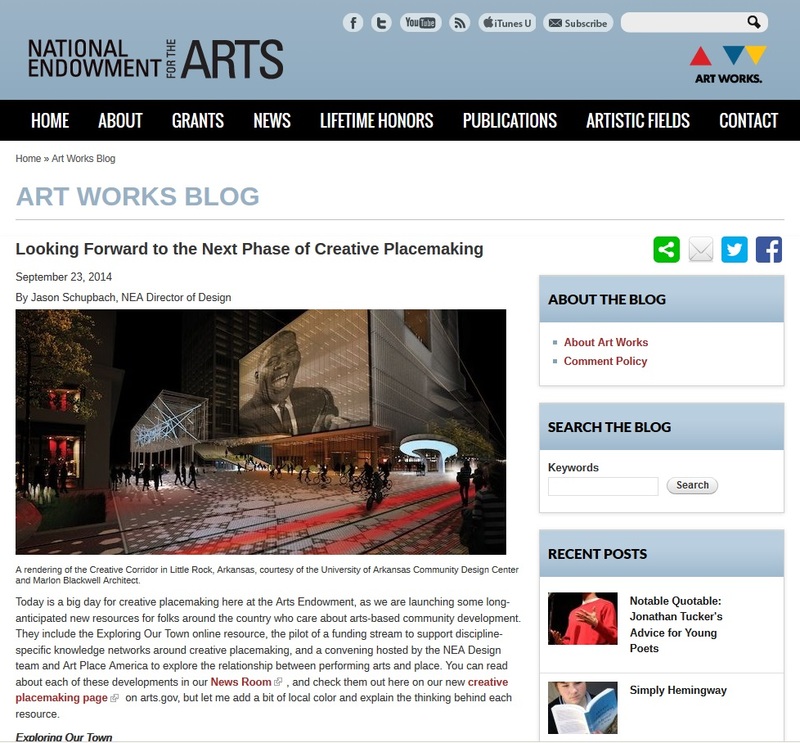 The entry discussed the next phases in the NEA’s Creative Placemaking grant process. There were many other images the NEA could have used, but they selected this one. It is a testament to the planning done by the University of Arkansas Community Design Center and Marlon Blackwell Architect and the support by the Little Rock community for this plan. Planning for the Creative Corridor dates back to 2007 when Mayor Mark Stodola attended the Mayors’ Institute on City Design. It is a program jointly sponsored by the U. S. Conference of Mayors and the NEA. While it has not been around since Arkansas’ territorial days, the Arkansas Times has been on the forefront of many journalism endeavors over the past 40 years. Historic Arkansas Museum pays tribute to this with a new exhibit celebrating the 40th anniversary of the Arkansas Times. From a spunky monthly launched with $200 in the bank to, glossy lifestyle magazine, to one of the earliest alternative weeklies, the Arkansas Times has been an essential voice in Arkansas news and culture since 1974. 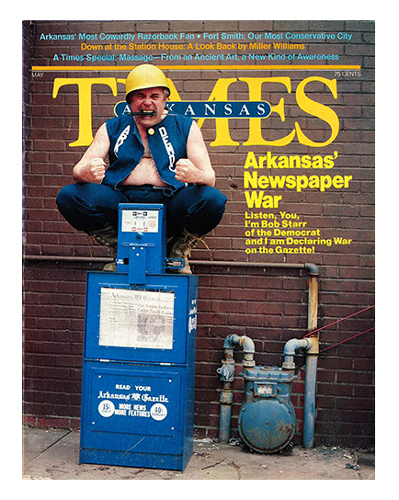 Take a look back at the last 40 years of Arkansas history through the often-irreverent lens of the Times in a collection of archival covers, photos, art and memorabilia. 40 years of Arkansas Times continues in the Second Floor Gallery through December 9, 2014. The cast will be led by two time Tony winner James Earl Jones. The production will mark a reunion from the recent revival of The Best Man for Jones with actress Elizabeth Ashley and producers Jeffrey Richards and Trice. 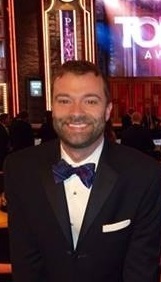 The Little Rock Central alum has won a Tony for each of the past three seasons. This marks the first project for the Trice for the 2014-2015 season. First performed on Broadway at the height of the Great Depression (in a Pulitzer Prize winning run), it has not been revived on Broadway since 1983. 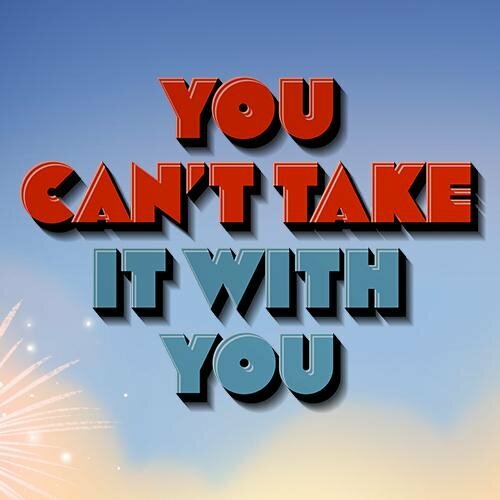 You Can’t Take It with You, by George S. Kaufman and Moss Hart, celebrates the American spirit as well as spirited family life. Others in the cast, which is to be directed by multiple Tony nominee Scott Ellis, are Tony nominee Kristine Nielsen, Tony nominee Reg Rogers, Tony nominee Annaleigh Ashford, Theatre World winner Crystal A. Dickinson and stage veterans Byron Jennings and Julie Halston. Mark Linn-Baker, who has cut his teeth on both stage and TV, is also in the cast. Others in the show include Marc Damon Johnson and Patrick Kerr. Three time Tony winner Jason Robert Brown is composing music for the play. Performances started at New York’s Longacre Theatre on August 26. Trice’s Tony Awards came for the 2014 Best Play All the Way, 2013 Best Play Revival Who’s Afraid of Virginia Woolf? and the 2012 Best Musical Revival Porgy and Bess. He also received a nomination for 2012 Best Play Revival for The Best Man. This past year, of the 26 Tony Awards presented, seven went to shows produced by Jeffrey Richards and Will Trice. 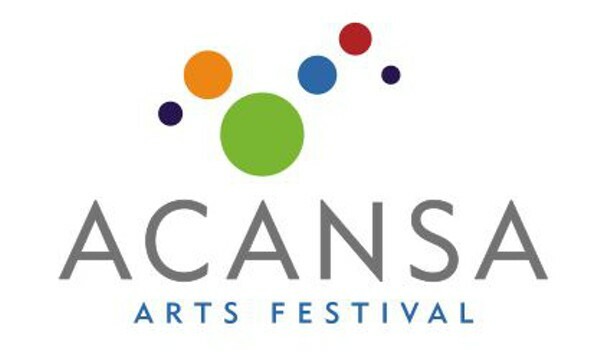 T he inaugural ACANSA Arts Festival concludes today with dance and song at Wildwood Park, in addition to a repeat performance downtown of Phillip Huber and his marionettes. Festival Ballet is a repertory dance company dedicated to classical ballet training and performance. Their seasonal programming includes enchanting storybook ballets and mixed-bill productions with new choreography and excerpts from ballet classics. They will perform a short Neo Classical ballet based on the writings of an 18th century Suffolk poet. 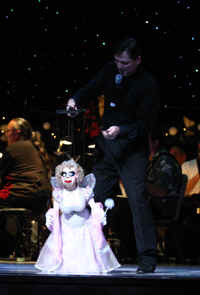 In a cabaret presentation distinctly adult in its sophistication and artistry, internationally acclaimed marionette artist Phillip Huber is in full view of the audience as he controls incredibly compelling characters through a series of variety vignettes revealing humor, pathos, drama and grace. Phillip Huber is most widely known for his work in the 3-time Academy Award nominated film “Being John Malkovich” and his work in the Disney film “Oz the Great and Powerful,” starring James Franco, Michelle Williams and Mila Kunis. Shimmering with nuance, sophistication and imagination, you won’t want to miss this opportunity to experience a world of sophisticated puppetry designed for entertaining discerning tastes.